Become an affiliate and earn commissions from selling our products through your blog or web site. 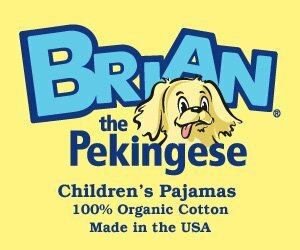 Do you have a web site or blog whose readers might be interested in Brian the Pekingese products? Then you should consider our affiliate marketing program and start earning commissions right away. You simply put an ad that we supply on your site, and when your reader clicks it, lands on our site, and buys something, you get a commission. The whole transaction is automated through an affiliates tracking software, and you get your commission on the day of the sale via PayPal. No waiting 30 days for the check to arrive. Contact us to get the details and start earning commissions now. Become an affiliate and start earning commissions now.